Capacity up to 4 people. 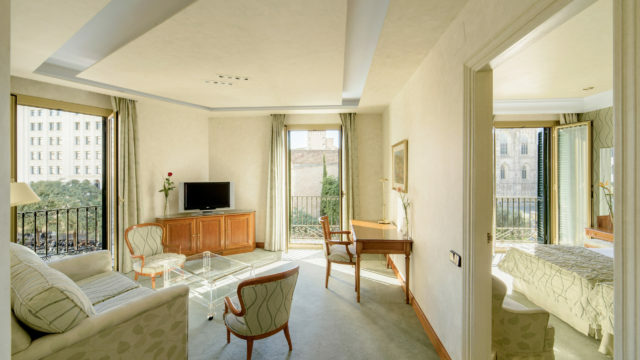 With the same characteristics of the Classic Familiar rooms, but with extra space, the Junior Suite is divided into two independent areas; the living room and the bedroom. There’s one more detail that makes the Junior Suite in the Hotel Colon unique within Barcelona; the impressive views of the gothic Barcelona Cathedral.